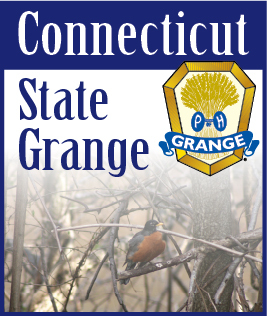 Connecticut State Grange President Robert Sendewicz addressed the delegates and guests at the opening session of the Grange's 125th Annual Convention. Speaking to Grange members from across the state, Sendewicz touched on a wide range of subjects including Grange growth and community service. "(We need) to revitalize, re-organize and start new Granges in our state." Sendewicz said. "Twenty-four Granges took in eighty new members last year." Sendewicz said the Connecticut State Grange is committed to working on building towards the future, and to address the challenges head on. "Your Pink Sash family is humming like a well oiled machine. But you knew that as you saw the programs and contests they provide for you. They are a benefit to me and to you as they provide the services that make our State Grange great." To read the address in it's entirety, please visit the State Session section of the website by following this link: Master's Address 2009. The Address can also be downloaded as a PDF file from the Downloads page.